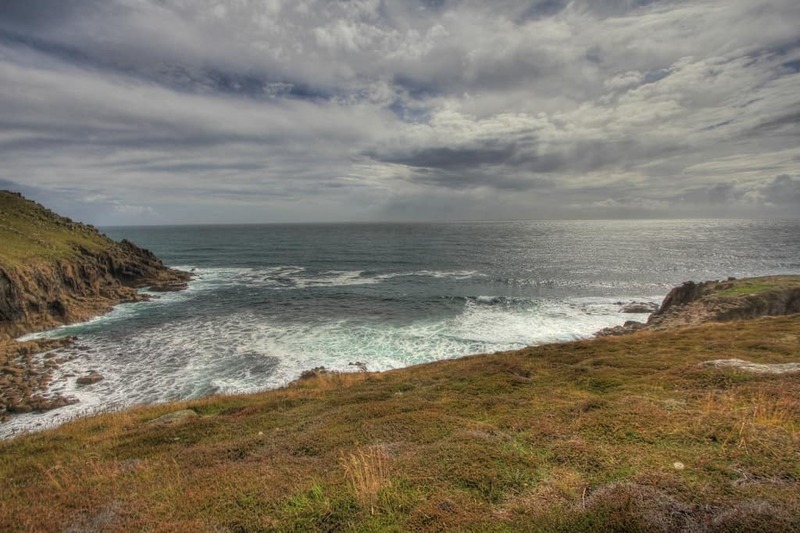 Cornwall is a large coastal county and has 100’s of places to visit and things to do. Here we list UK Beaches top 5 family days out and think it will be useful for anyone planning a visit to Cornwall. 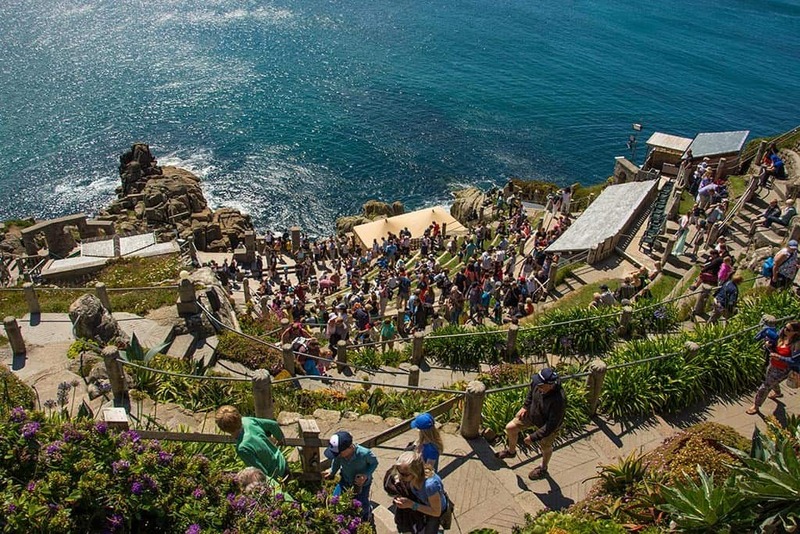 Minack is not just a theatre to visit to see a performance but a spectacular location. Set on the side of a steep cliff you get spectacular views, sub-tropical garden to explore and the story of the theatre’s creation. Open all year round although out of the summer season open for shorter days. You can also take the steep coast path down to Porthcurno beach. 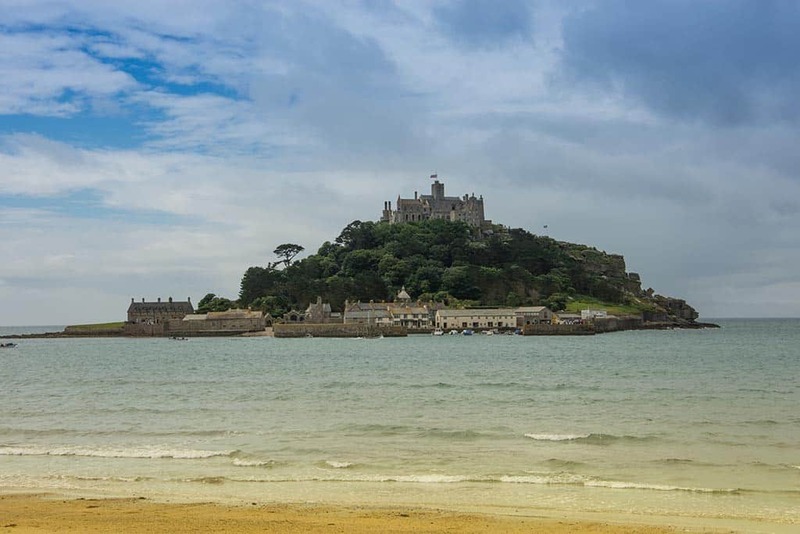 You have a choice depending on tides on how to reach St Michael’s Mount. You can take a walk across the causeway or cross by boat. This is a like going back to the past and you can explore the harbour, medieval castle, town and terraced gardens of this unique rocky island. The Island is looked after by National Trust. 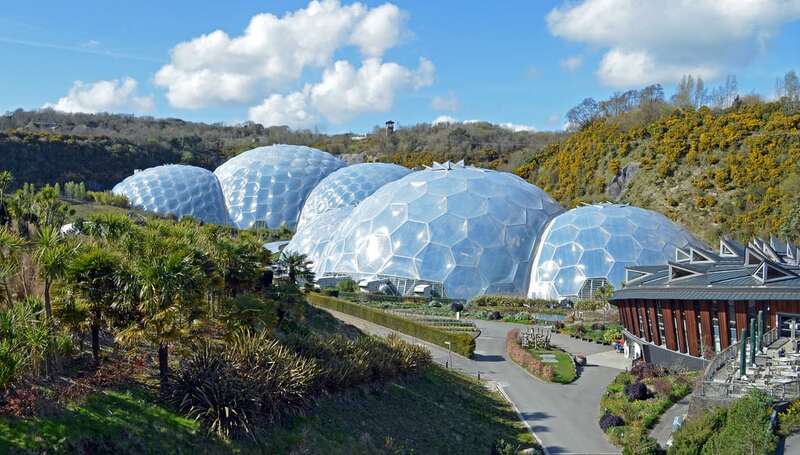 A great family location where the complex is dominated by two huge enclosures consisting of the adjoining Rainforest Biome and Mediterranean Biome. These house thousands of plant species, and each enclosure emulates a natural biome. The domes consist of hundreds of hexagonal and pentagonal, inflated, plastic cells supported by steel frames. As well as the domes you have outdoor gardens, restaurant, displays and seasonal events. 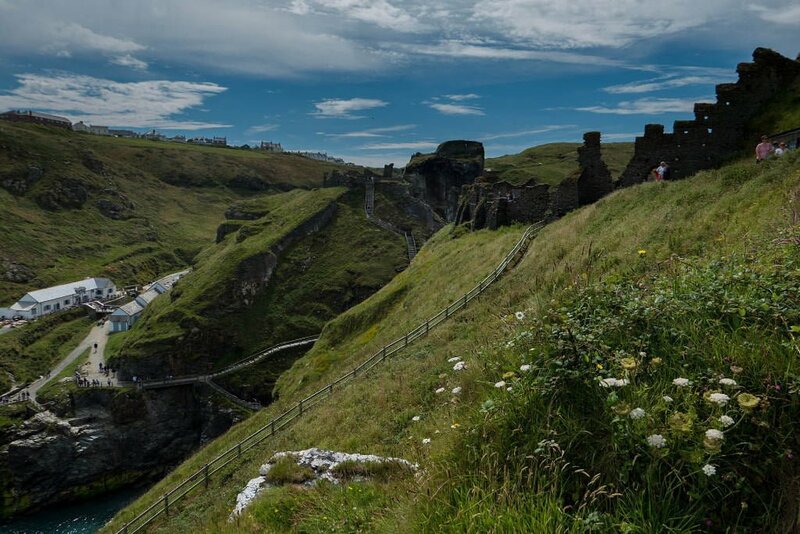 Tintagel Castle is a medieval fortification located on the peninsula of Tintagel Island, adjacent to the village of Tintagel. The castle has a long association with Arthurian legends described as the place of Arthur’s conception when Arthur’s father, King Uther Pendragon, was disguised by Merlin’s sorcery to look like Gorlois, Duke of Cornwall, the husband of Igraine, Arthur’s mother. The castle is exposed and can be spectacular when you have a sea mist, feels like you are in the legends. Lands End is a beautiful stretch of coastline. This is a great day out and you have many options to keep the family entertained, from paid attractions like Shaun The Sheep Experience and Authur’s Quest to free walks and the RSPB discovery centre. The entrance allows free return within 7 days, so don’t worry about rushing around, you have plenty of time. Want to know more about Cornwall then visit our Cornwall Pages where we list all the best beaches, places to visit, eat and 100’s of accommodation options.